I finished reading Inheriting The Trade by Thomas Norman DeWolf in preparation for tonight's book discussion group sponsored by the Brockport Unitarian Universalist Fellowship at the Lift Bridge Book Store in downtown Brockport, NY. In Inheriting The Trade DeWolf traces the involvement of his family in the business of slavery from Rhode Island to Africa to Cuba and the Caribbean and back. It is a fascinating description for many reasons, the foremost of which is the institutional and structural racism which allowed the practice of slavery to flourish and be sustained. The creative tension in the book is based on DeWolf's description of his own feelings and thoughts, and others in the group who participated in this project, as he discovers the horror of our history. It is a rare glimpse at the shadow side of America which is not taught in our history books in school. While America is based on high ideals, the reality is grim when confronted in its stark actuality. The reader recoils with DeWolf and says "This is not the America I was taught about. 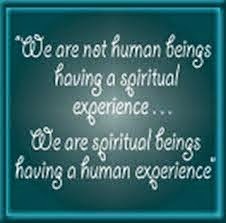 Is this really us?" It is not just the collective us, but for the DeWolf family it becomes exceedingly and painfully shameful. Of course, the DeWolf family were not alone. They did what they did with the full blessing of their community and society. It not only was condoned, it was celebrated with the economic benefits of the country in which all, in some way, participated. In a sense, slavery is the great American way, where the rich get richer and the poor get poorer as a result of the powerful manipulations of society by the privleged. Laws are passed in Arizona and acted upon in the rest of the country to discriminate against and oppress people of color not for what they do but for who they are. At the age of 64, I remember the laws of segregation in the south and the killings that went on to domestically terrorize one segment of the population by another segment of the population in order to keep control and continue to reap the economic benefit of privlege of white over black. It goes on today if one only looks at who the 2,000,000 people are in America's prisons and under criminal justice supervision. DeWolf articulates the idea of privilege and how white and male privilege provide huge benefits to those in power and control to oppress people of color and women. 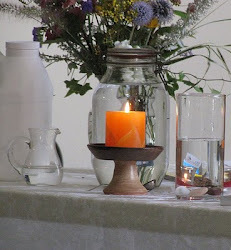 This privilege continues today and as DeWolf writes until we become aware of it, and can name it, we cannot manage it in a more equitable and compassionate way. DeWolf makes a compelling and very readable case for how racism has become institutionalized in our capitalistic economy, our churches, and other social institutions. 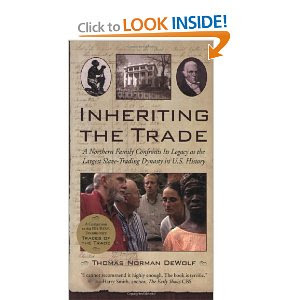 DeWolf's book, Inheriting The Trade is must reading for every American. Unitarian Universalists especially should read this book since it validates our values and encourages a deep reflection and action to heal the wounds of racism and oppression in our society. I give it a 5 out of 5 stars on the Markham must read scale. For more information at Inheriting The Trade web site click here.